Welcome to the Betfred sign up offer. Betfred are one of the biggest bookies in the UK and have a great sign up offer that is perfect for getting started with matched betting. Have you created your free matchedbetting.co.uk account yet? 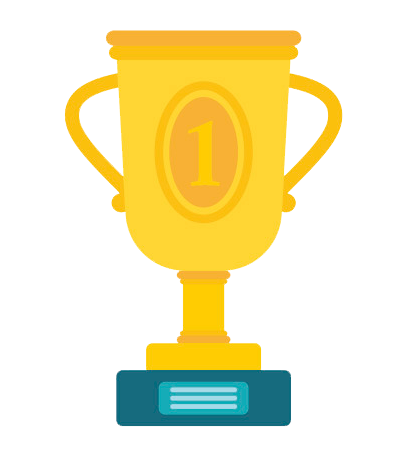 Sign up for free to mark offers as complete and track your progress. Register here. The first thing we need to do is sign up to Betfair and Betfred. We need a Betfair account to complete all the offers so it’s best to that out of the way straight away. If you already have a Betfair account you can skip this step and proceed to Betfred to create your account. You are now ready to start the Betfred sign up offer. Expand each step below to view the required steps. Proceed to Betfred using the button above and sign up to the site. Once we have opened our Betfred account we need to deposit £10 into the account. We recommend you use a debit card. To make matched betting easier we are going to set the bookmaker websites to use decimal odds before we start. To do this on Betfred scroll down the page and on the left-hand side you will see the price settings. 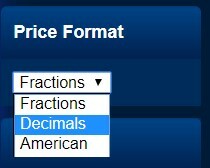 Set it as decimal. In order to qualify for the free bets we need to place our £10 bet at odds of 2.0 or higher. Use the OddsMatcher below to find a suitable betting opportunity. This will show you the best matches for you to bet on right now. We need to find a bet where the back odds at Betfred are close to the lay odds at Betfair. The OddsMatcher does this job for you. Once you have picked your bet head over to Betfred and add the bet to your betting slip, set your stake as £10 and place your bet. Now that we have placed our £10 back bet at Betfred we need to lay the bet at Betfair. We need to use the matched betting calculator to calculate our lay stake. Enter your back bet stake and odds into the calculator below and then enter the current lay odds. This will show you what you need to lay. The calculator will also show you your liability, this is how much money you need in your Betfair account in order to place the bet. At this point the calculator will likely show you are going to make a small loss on your bet. This is expected, the closer the odds are together the smaller the loss will be. We don’t need to worry about this small loss though as we are going to make a much larger profit with the free bet. Press the pink box on the market at Betfair and then enter your stake and place your bet. Once our qualifying bet has settled Betfred will add our free bets within 24 hours. Once we have those we can repeat the process above with a few small alterations. We still need to find a bet where the odds are close together but this time we want to look for something with higher odds. We recommend using odds of at least 5.0, this will allow you to make the best profit from the free bet. The OddsMatcher below will show you a selection of bets that fit the criteria. Remember though the higher the odds the higher your liability at Betfair will be so if you are starting with a small bank make sure you have enough money in Betfair to cover the lay bet before placing your bets. The other change we need to make is on the calculator. We need to set it to Stake Not Returned mode. This will allow us to lock in a profit. As you can see on the calculator once we place our free bets and the opposing lay bets at Betfair we will have made a nice profit. The profit will vary depending on what odds you used. Congratulations! You have just completed the Betfred offer, enjoy your free money! If you have any winnings in your Betfred account you can now withdraw them. We can now go to the next offer and repeat this process for the next bookmaker. Remember to mark this guide as completed and then move on to the next one!